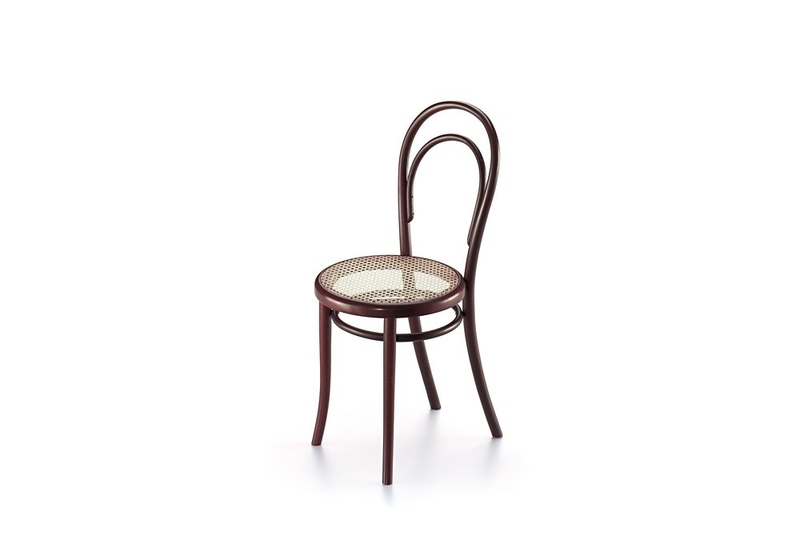 Vitra Miniature Stuhl N.14, Thonet: The “No. 14“armchair is one of the world´s most successful, mass-produced products. It was the standard model in Thonet´s collection of bent-wood furniture and is considered the typical Viennese coffee-house chair. By 1930, 50 million of the chairs had already been sold. 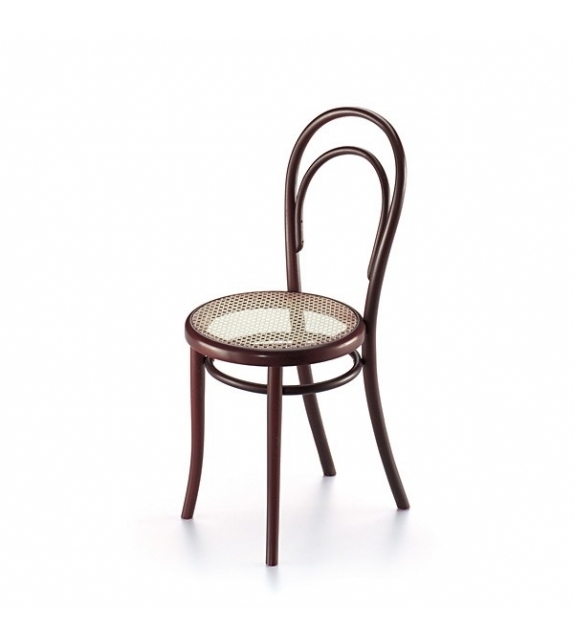 Vitra Miniature Stuhl N.14, Thonet: The “No. 14“armchair is one of the world´s most successful, mass-produced products. 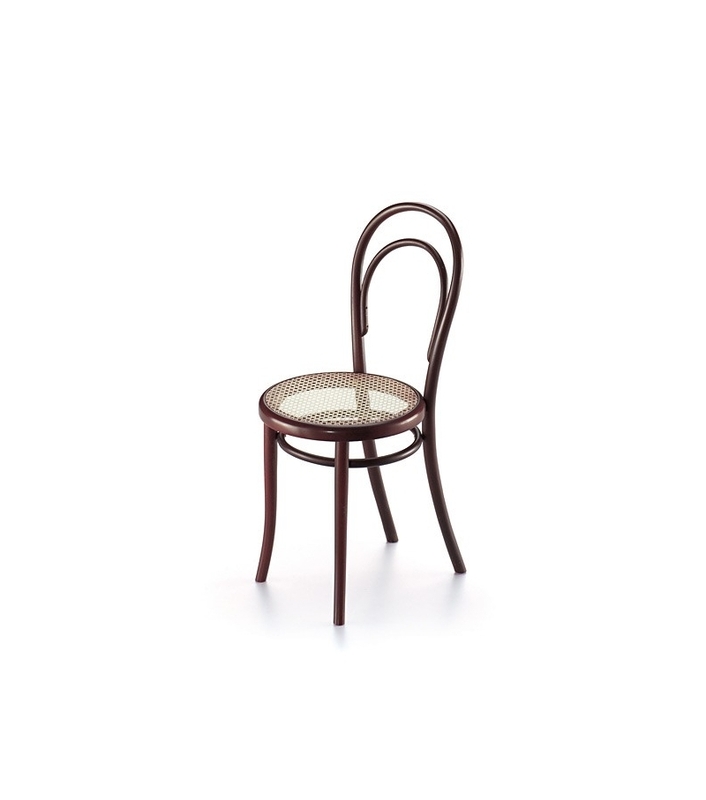 It was the standard model in Thonet´s collection of bent-wood furniture and is considered the typical Viennese coffee-house chair. By 1930, 50 million of the chairs had already been sold. A modified version of the “No.14“ is still being produced today. Using the bent-wood technique developed by Michael Thonet, solid wood is shaped subjected to steam pressure and shaped three-dimensionally in iron moulds, this offers a great deal of scope for creativity in the design. Thonet´s new packaging system was also revolutionary for the second half of the 18th century. The individual parts of the chairs were packed in an extremely space saving manner and then sent to their final destination, where they were first screwed together. The Thonet brothers combined industrial production processes and a business-oriented approach with a unique aesthetics, making a substantial contribution to our current concept of industrial design. Beechwood, stained, lacquered, cane.